Have you ever thought how can we find lasting, trusting, and fulfilling friendships? Is it by being popular? Dazzling others with your genius? Looking for that ultimate BFF? Hiding all your imperfections and trying hard to fit in? This is the episode you want your teenager to listen with you! Be sure to tune in to today’s episode of the Reading with Your Kids podcast to meet a weekly columnist, author, author coach, and a mother of nine, Libby Kiszner on the show! 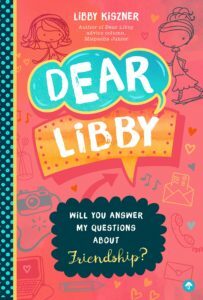 Libby is joining us to talk about her most recent nonfiction book for young readers titled Dear Libby: Will You Answer My Questions about Friendship? In Dear Libby, trusted columnist Libby Kiszner offers a breakthrough approach to friendship and connection. You can create friendships from the inside out—rather than from the outside in. 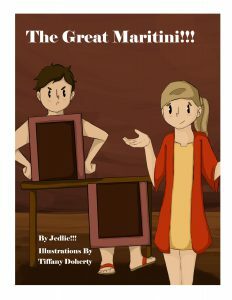 You can experience friendships with vibrant self-expression in every stage of life, making Dear Libby a book that can be read and reread at any age. Listen in to discover how Libby’s life experiences shaped her book Dear Libby: Will You Answer My Questions about Friendship?, Take a peek inside her book, And find out the secrets behind her creative processes. Get your cup of coffee ready, and let’s get started! Libby Kiszner has a background in counseling both kids and adults with degrees from the Refuah Institute in Counseling and the Narrative Therapy Institute, plus additional training in psychology from the University of Phoenix. Kisner has been writing her weekly advice column, Dear Libby, in Mispacha Junior magazine for the past twelve years. Mishpacha is the number one Orthodox Jewish magazine; its family of publications includes flagship Mishpacha Jewish Family Weekly, women’s interest magazine Mishpacha Family First, and Mishpacha Junior for kids. In addition, Kiszner is an independent marketing consultant. 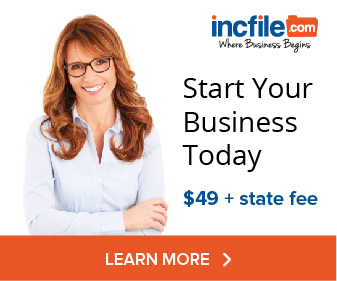 As the founder and CEO of Your Magnetic Story, she helps women package their unique gifts into a sellable product or service to maximize their business potential. She teaches practical tools and processes to create a solid foundation for their business, assisting them to increase profits while reaching a higher level of meaning in their lives. Kiszner is also the author of two previous books, Extraordinary Stories about Ordinary People (2008) and Dear Libby: Real Kids Raising Real Questions and Libby’s Sound Advice (2006–covering a range of topics from siblings and parents to fears and loneliness, targeted to adults rather than kids). When she’s not writing or telling stories, she’s busy singing and dancing with her large family. She’s a renaissance soul: a momma, friend, teacher, speaker, coach, marketer, writer, storyteller, laundry-doer, homework helper, dishwasher, and, well, you get the idea. She currently lives in Jerusalem and enjoys visiting her former home, Brooklyn, NY. Deep and enduring friendships are essential to our psychological and physical well-being. Unfortunately, between bullying, social anxiety, peer pressure, and other issues, many teens feel isolated. Containing seven core principles, this life-changing resource not only explains the dynamics of connections and friendships but also gives practical tools to develop them. Integrating contemporary issues, timeless insight, real-life skills, and unique perspectives, Dear Libby provides a hands-on guide for dealing with everyday friendship struggles faced by teens today. Teens and readers of all ages will gain insight and understanding on how to make profound, joyful relationships possible. More about nonfiction book, Dear Libby: Will You Answer My Questions about Friendship?, a timely compilation of questions and responses for kids about real life matters by author Libby M. Kiszner. Trusted Columnist Libby Kiszner also shares her inspiration for writing this book & tells us how her book not only explains the dynamics of connections and friendships but also gives practical tools to develop them. …Be sure to listen to find out more about Libby Kiszner & Dear Libby! Thanks for agreeing to this interview, Libby. We wish you all the best with Dear Libby: Will You Answer My Questions about Friendship! Read NextMeet “The Gravedigger’s Son” by Patrick Moody!